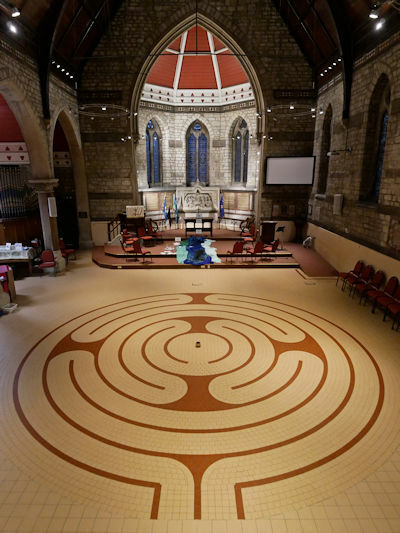 Chislehurst Methodist Church is holding its Summer Oasis this month, opening its beautiful quiet space to the public, and we couldn’t resist making the trip over to Kent to see the labyrinth that Jeff designed, but had never actually seen. It is splendid, if we do say so ourselves! Jeff tweaked the geometry to make it better suited for placement in a church and tiles were specially selected to match the original features of this mid-19th century church. 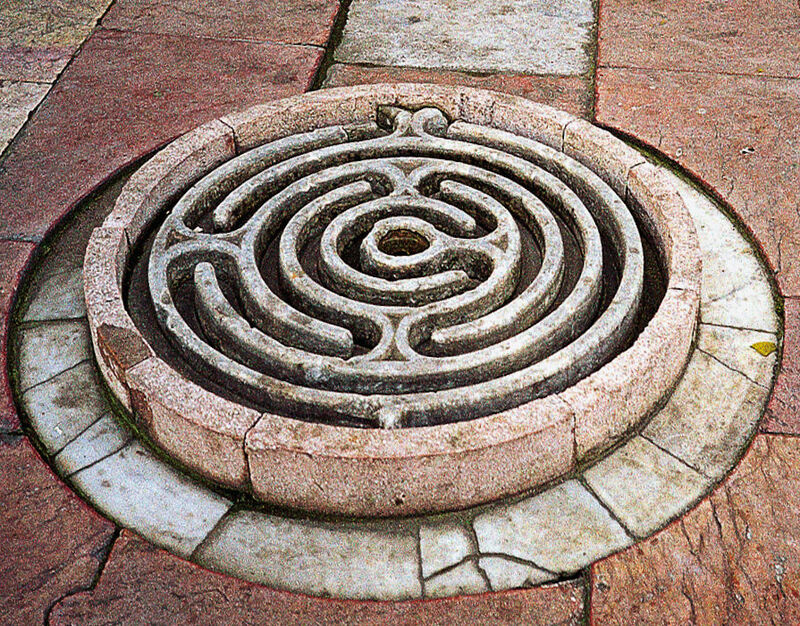 The labyrinth features a dual pathway that leads from the entrance to the centre and back out again, perfect for processional walks. Well worth a visit, Chislehurst Methodist Church is easily accessed by either road or rail. Check the Worldwide Labyrinth Locator for details, but be sure to call first to ensure that you’ll be able to see it on any given day. Truly an oasis. I do like that double pathway. I’m sure it will welcome many pilgrims and processions. An oasis indeed! I do like the dual pathway and I’m sure it will be appreciated by many pilgrims and progressions. I love that Jeff adapted this design from the water feature in Damascus…first time for me to see this image of the one in Syria. Fun to know it is in a Methodist Church too since I’m Methodist!